Catch all the live scores and updates from the Chennai leg of Pro Kabaddi League 2017. 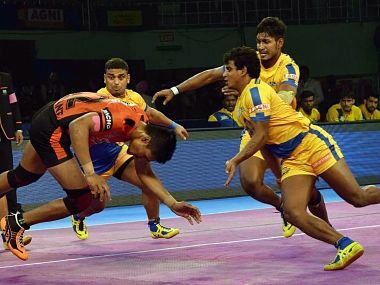 Puneri Paltan produced a composed performance in the last 10 minutes to outclass Tamil Thalaivas 33-20 while Gujarat Fortunegiants edged past Patna Pirates in Inter-Zone Challenge Week of Pro Kabaddi Season 5. Catch all the live scores and updates from the Delhi leg of Pro Kabaddi League 2017. 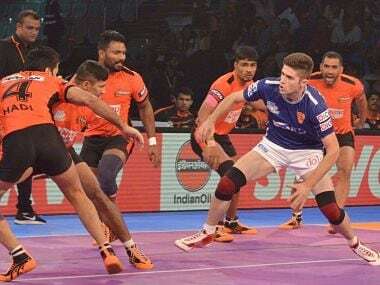 Ajay Thakur produced a remarkable performance in the last five minutes as Tamil Thalaivas edged past Gujarat Fortunegiants 35-34 in a thrilling match of the Pro Kabaddi League (PKL) in New Delhi on Tuesday. While Gujarat Fortunegiants take on Tamil Thalaivas, Dabang Delhi take on Patna Pirates, both matches taking place at the Thyagaraj Sports Complex in Delhi.